Have an idea for an educational app but don't know where to start? 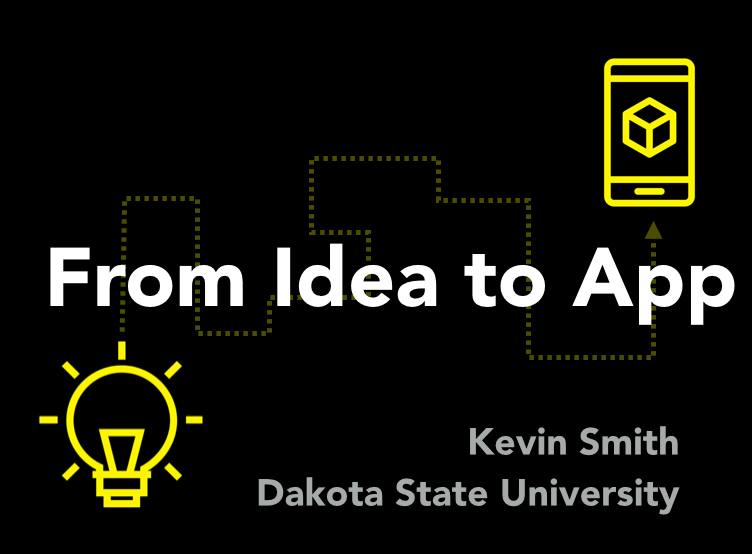 Join me as I share the story of my journey into app development. What began as an idea in 2011 led to my first released app in 2012 and then two more apps in 2016. Learn about the process and software used to create apps, peek behind the scenes of app development, and dive into the murky world of app marketing. With just over 300,000 downloads across 3 apps, I'll share what I've learned thus far. Download the 3 apps before the session to give them a try. The steps involved in going from idea to app. ​TIP: Just because there’s an app for that doesn’t mean you should give up! Ideate. Research what already exits. Think about ways to be innovative. Ask yourself these questions: How can you take an app that already exists and make it better? How can you solve a problem? How can you meet a need? TIP: Don’t underestimate the value of wireframing! Moqups - web-based tool; I like this one! TIP: You don’t have to do this yourself! Find a graphic design student (college or high school). Pay them. It's a win-win. TIP: ​You don’t have to do this yourself, but if you do…learn Swift and build native. Corona SDK - We used this for Spelling Star. I like it a lot. Cordova - We used this for Math Mountains. No my favorite. ​Phonegap - This is worth exploring. Appcelerator Titanium - We considered this for Spelling Star. Swift - This is what we will use for our next app or to redesign existing apps. Codea - This app is definitely worth exploring. Native vs Mobile App Development Framework - pretty good article on this. There are a lot of other articles that talk about this as well. It's worth reading about this debate. Would you be interested in having your students participate in a Mobile App Design Challenge Fall 2018? Send me an email and I'll reach out to you in the Fall when we kick it off. If it works with your class and schedule, great. If not, no worries.